Providing our clients with consistent high quality work without compromises. 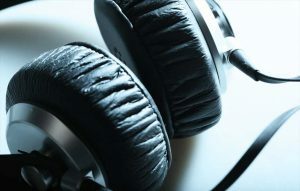 Our high standards are a reflection of our team’s dedication and years of experience in the recording business. We have been contributing to the Arabic audio content production for decades and we believe that what we do is more than just a job, it is a craft that has been acquired through years of experience and practiced to perfection. We promise to be true to our work and to add value in all our projects regardless of their sizes or budgets. We are committed to provide you with consistent high quality work and without any compromise. Request a quote today and we’ll send you our best offer! DeafCat Studios are part of Filmali International, a renowned dubbing agency present in the Middle East since 1974. 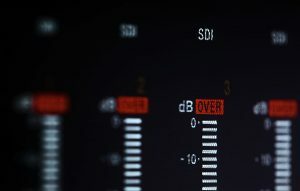 Our studios are equipped to handle complex dubbing project with utmost expertise. Our network regroups artists and actors that are able to dub into Arabic the most challenging characters. From cartoons to documentaries and soap operas even film, we are able to take on a dubbing project from A to Z. We have a dedicated team that can translate from English, French, Spanish into Arabic. 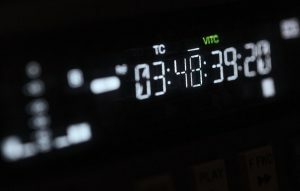 Our crew also consists of talented and experienced sound engineers that can adapt and change complex sentence structure in order to lip-sync correctly with the image. 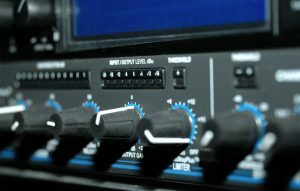 DeafCat Studios are more than just studios where artists can find recording solutions for their albums. We believe that in order for the artists to perform at their best, they should be present in a creative and relaxed atmosphere that allows them to find their muse. In response, we have decided to provide our artists with the “chill zone” where they could get inspired, rehearse and compose their music. 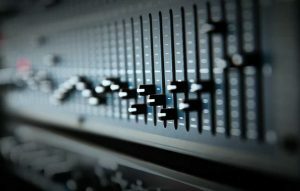 Our experience in music production and recording has led us to the conclusion that the secret for a professional sounding result relies in the mixing & mastering techniques. Basically, our engineers have acute hearing and are highly skilled in sound discrimination which gives them priceless golden ears. 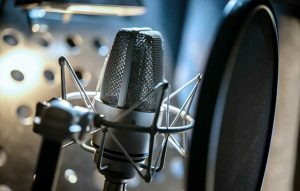 DeafCat Studios are targeting local, regional and international clients that are looking for affordable recording studios that can provide them with professional quality Arabic voice over services. In order to offer our clients with fast results, we have invested in professional cloud servers where we can host our projects and have them available for download. Our clients in the GCC (Dubai, Abu-Dhabi, Kuwait…) the Levant (Lebanon, Syria, Jordan…) North Africa (Morocco, Tunis, Algeria…) and Europe (France, England, Spain…) can upload their projects to our server and we can finalize them. We are excited to open up on an industry that is still at its primary stages in the Middle-East. DeafCat Studios specialize in creating music scores, sound effects and dubbing for video game companies that are interested in targeting the Arab market. We are proud to contribute in the creation of Arab speaking interactive games both for consoles and web. Whether it is entertaining, educational or corporate, at DeafCat Studios we are glad to be of assistance to you in your video game production needs. We are proud to contribute to Arabic audio content creation, we believe that the Arab region is in desperate need for interesting content. Our experienced directors, mixing engineers and talented actors are always looking for the magic that would turn boring audio content into powerful and engaging pieces of art. We believe in adding value to all our work and this is true for all our audio content including Arabic based e-learning courses and audio books. It is important to create an immersive experience for the listener in order not to have a monotonous audio file.